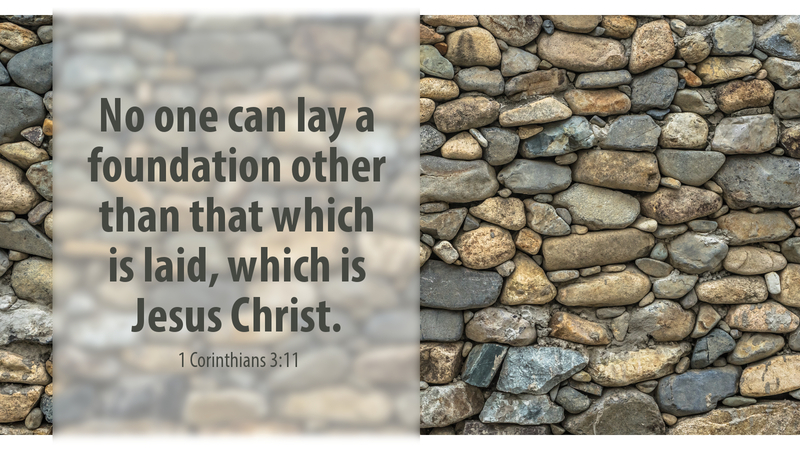 It is folly to build a foundation other than Jesus Christ. Yet that is what many do, building a foundation on good works or social piety or even religious rituals. These things will fail because such so-called wisdom is not spiritual; it is the wisdom of this world. It seems wise to a person but is actually foolishness. Yet Christ crucified seems absurd to them. Then let us be as fools to the world, embracing not only the true foundation but also the Cornerstone (Psa 118:22; Eph 2:20) himself. Behold! God has laid a sure foundation (Isa 28:16) upon which we may build along with the prophets and the apostles. Jesus Christ is the Head of the corner of that dwelling of God: his Church. As his Spirit dwells in you, a living temple of God, Christ alone must also be your Cornerstone, else everything you build in this life come to crumbling ruin. If, however, your foundation is built upon Christ, your life will be blessed with God’s favor. As you follow him throughout life, he will abide with you and build you up with the precious materials of his own Body and Blood. Prayer: Build me up, Lord, upon yourself. Amen.